An HD ready, portable, 15.6" widescreen 12 volt television with digital Freeview with one touch tuning and built-in DVD/CD player, DVB-S2 satellite decoder with pause, playback live TV and record to USB. The Avtex L165DRS is an HD ready, super slim rate portable, 15.6" widescreen 12 volt television with digital Freeview with one touch tuning and built-in DVD/CD player, DVB-S2 satellite decoder with pause, playback live TV and record to USB. This marine digital television has been specially designed for your boat or caravan with the latest digital technology all from 12 volt power supply. Enjoy Freeview, DVD & CD's all in one compact easy to use television on board! The Avtex range of televisions are designed to run on true 12 volt whilst most household TV's run on 240 volts. They are extremely energy efficient in standby, using less than 1w, and while in use, using approximately 30w. It comes complete with a 12v power lead (cigarette lighter plug) and a mains 230v power adaptor making the television suitable for use while onboard your boat or at home. The Avtex L165DRS television comes with digital Freeview built-in, giving you the full range of Freeview channels, meaning there's no need for a separate set top box; it will also receive the older analogue TV signal if available. The Avtex W165DRS digital television features a built-in DVD/CD player neatly housed in the side of the slim television, there is no need for an external DVD player. The DVD/CD player supports CD's, Video CD's, SVCD's and DVD's allowing you to watch and listen to a wide variety of discs. 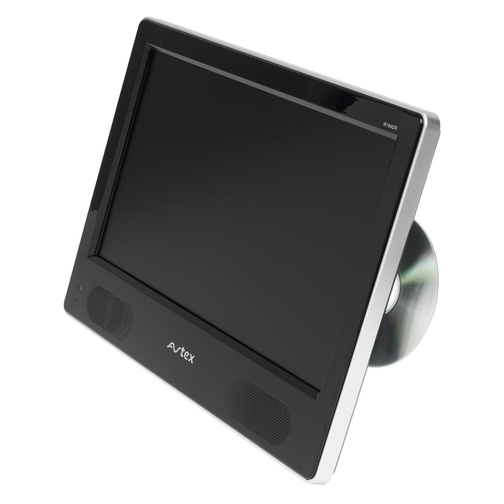 The Avtex W165DRS television can be used as a PC monitor (or as an extension to a laptop screen) using the built in VGA socket (commonly found on most computers) or via one of the HDMI sockets (commonly found on newer computers and laptops) and can even have a Blue-ray player connected when at home.